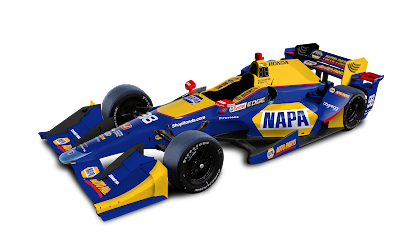 Andretti Autosport announced Wednesday morning the return of NAPA Auto Parts to the sidepods of Alexander Rossi's entry this season. The auto parts retail chain first got on board with Rossi last May. The small investment was a good one as the rookie went on to win the 100th Running of the Indianapolis 500. They continued their sponsorship through the next round in Belle Isle, but didn't return the rest of the season. The sponsorship deal is for 7 races including St. Pete, Long Beach, INDYCAR Grand Prix in Indianapolis, Indy 500, Road America, Watkins Glen and Sonoma.